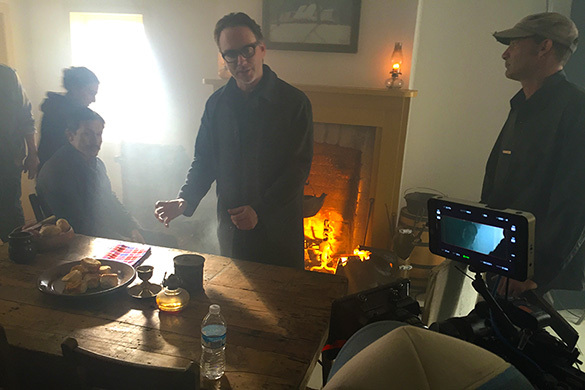 The made-in-Utah feature, Red Lopez, won the ‘Best Drama’ award at both of this year’s New York and LA Short Film Festivals. 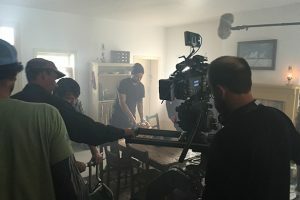 Filmed in Utah in April 2016, the short film was co-directed by Utah native, Stephen Frandsen, who grew up in Spanish Fork, and Hadleigh Arnst. Set in the height of winter, the trailer offers a glimpse of Utah’s iconic snow-capped mountains and has a traditional western feel with pioneers reaching ‘Zion’ on horseback. 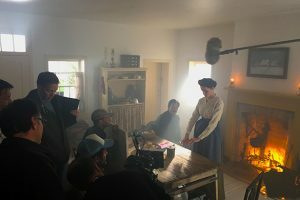 Based on a true story, much of the film was shot at Salt Lake’s This is the Place Heritage Park, located at the foot of the Wasatch Range and near the mouth of Emigration Canyon. As well as picking up awards at the prestigious Short Festivals, Red Lopez also screened at the Park City 11th Annual Filmmakers Showcase in late 2016 and won the ‘Audience Choice Award’ at the 16th LDS Film Festival in March 2017. 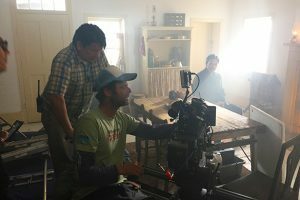 The filmmakers are now looking into producing a full feature length version of the short in Utah, so watch this space. In the meantime, here are some exclusive behind-the-scenes images from one of our set visits during filming.